Based on a true incident of his mother and sister, Robert Harling's much-beloved Off-Broadway (and the subsequent 1989 film) is set in a small-town beauty shop near New Orleans and spans several years in the lives of the shop's owner and her customers. 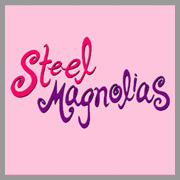 The first-ever Broadway production opened at the Lyceum Theatre in the Spring of 2005 in a production starring Delta Burke (“Designing Women”), two-time Tony Award winner Frances Sternhagen (The Good Doctor, The Heiress), Tony-winner Christine Ebersole (42nd Street), Rebecca Gayheart, Lily Rabe (nominated for a 2005 Drama Desk Award for her performance) and four-time Oscar nominee Marsha Mason. The show was directed by Jason Moore and featured sets by Anna Louizos, costumes by David Murin and lighting by Howell Binkley.